The living industry is all about being unique and ahead of the curve. Your company’s brand name should reflect this. Going on the journey of branding can be intimidating. There are dozens and hundreds of ideas to be used. This explosive and unique company name is perfect for an entity that focuses on entertainment and fun business. The audience will want to be part of it and eventually engage. Also great for travel related companies. The way consumers shop and the whole consumer landscape has changed drastically in the last few years. Consumers are now focused on living simple lives using high-quality products. One of the biggest industries latching onto this movement is the interior design and decorating industry. With social media platforms becoming the new normal and everyone’s lives always on display, the need to impress with the latest home decor from furniture layout to the little details really matters. Beyond standing out as a lifestyle and living company, it is important your branding leaves a forever memory such as Armani, Gucci, Ikea or Walmart. You want your business name to invoke confidence in your consumer. Also, you want to give people a reason to come back. And, not just for your products but for your overall brand concept. A strong, cool, and exciting branding theme is what really reels in a consumer at the end of the day. No matter what industry you are in, the need to connect with consumers is the most critical aspect of owning a business. Using colorful logos, creative business names and domain names that immediately draw attention are the beginning elements to establishing yourself in the lifestyle and living industry. The living industry is all about being unique and ahead of the curve. Your company’s brand should reflect this. There are banks of ideas to be used. So where do you begin? However, Brandnic does everything for you and listed uncountable brand names for your living or lifestyle business. Checkout now and get it before it’s sold out to your competitor. We offer business and lifestyle brand domain names that are cool, creative and catchy. At Brandnic, we strive to feature branding and logo concepts that help your business give the best impression. There are lists of online or shop stores that sell a lifestyle and living products, each better than the next and have the decent lifestyle brand names already. All you need to start with a catchy business name to enter into the market and then follow by your business idea and quality of service. Knowing this, the perfect branding scheme can become a powerful tool, and a crafty way to advertise your brand. We pride ourselves with being able to offer creative business names that are memorable and offer your consumers a memorable and lasting experience. The only way to successfully make a sale is to immediately grab the consumer’s eye. And the only way to do that is with colorful graphics, catchy lifestyle business names and easy to remember domain names. 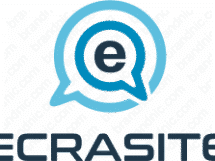 Choosing a cool lifestyle brand name from https://brandnic.com is guarantee a long lasting branding for your business product. You should want your company to have the most unique online presence. Our largest marketplace of branding tools is sure to help your business name stand out and help you look like a fun, cutting edge company. There are hundreds and hundreds of brandable business names and domain names available at Brandnic to make best out of it.